Missy and Karli… two (very) agenda worthy gals! Our next Agenda Worthy Woman is someone I’ve heard about for years… she’s the wife of my husband’s cousin. However, it wasn’t until a family reunion this summer that I met her in person. Previously, I had heard about how she and her husband were raising two children (Karli and Kasey), one (Karli) with special needs. I had also heard how amazing Missy is, and how she manages this difficult path with grace and strength. When I met Missy in person, these traits were totally obvious. In addition, I saw that she’s just an overall amazing woman- optimistic, fun, generous, and great to be around. I wanted you all to meet her and learn her story to see what makes her (so clearly) an Agenda Worthy Woman. My Story: I was born in a small town in Minnesota, to parents that were both Registered Nurses. My mom worked in OB at the local hospital and my dad was a teacher at the technical college. I always wanted to move away from the “one horse town,” but now I would do just about anything to move back. My parents have been married over 50 years. I had a good upbringing. I was involved in church and youth group; tried ballet, tap dance, and Brownies (Girl Scouts). I have one sibling, my brother Joel. I wasn’t really into sports in school but I made good, life-long friends there. I wasn’t abused or neglected. We lived in a middle-class neighborhood. I met my now-husband through mutual friends, before he joined the Navy (1997). His mom and my mom worked together for years, but had never introduced us. Life took us separate ways for several years but we would talk off and on. We never really “dated” in the sense of going out and doing things together. Most of our dating time was spent talking to each other on the telephone or in emails or even “snail” mail. We started talking more in 2002. By the end of 2003, we were married and I moved to Virginia where he was stationed. We then began our life together. I found work after moving and worked for 3 years before our first child, Karli was born. My pregnancy was great however at 36 weeks I felt extreme pain while at work one day. Scott was out to sea doing sea trials for an upcoming deployment. I went to the hospital and was passed off to triage because they are first come first serve. After a series of tests by an uneducated nurse on staff, a doctor came in to do an ultrasound and I was immediately taken to the OR for an emergency c-section. It was very traumatic for our daughter and myself. The both of us nearly died. She spent 30 days in the NICU at a different hospital since the one where she was born didn’t have the capability to take care of a baby as sick as she was. She went through so much in the NICU, there were many days we didn’t think she would make it to the next. A month after she came home from the NICU, Scott deployed with the USS Dwight D Eisenhower Strike Group to the Persian Gulf, on an expected 8 month cruise. I went through severe Postpartum Depression and my mom had to come out to help me for a couple of weeks. Karli and I navigated through the first 6 months together. Many, many days of trials and learning new diagnoses and how to take care of her as best I could. Scott was able to come home 2 months early from his deployment because of her first surgery (g-tube) and me needing help with her. I am so thankful for his commander and shop for allowing this. 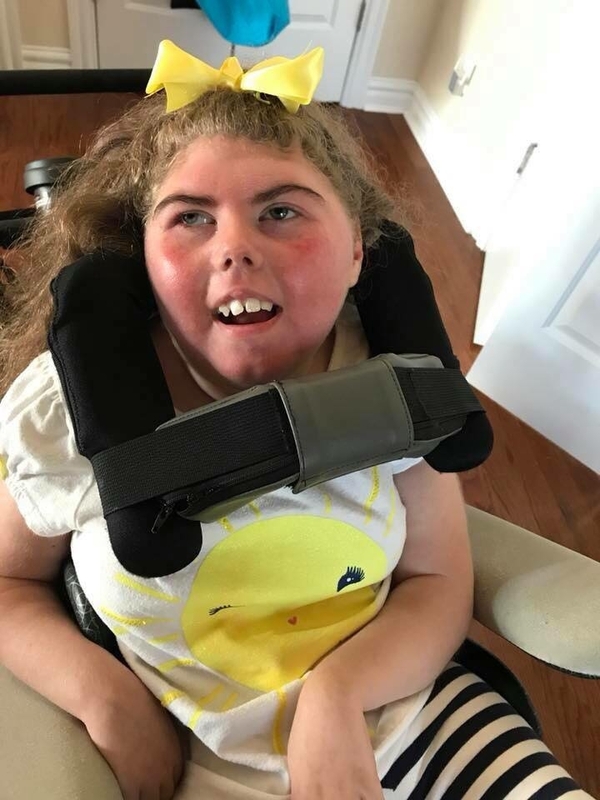 Karli’s list of diagnoses include: Spastic Quadriplegia Cerebral Palsy, Asthma, Seizure Disorder, Cortical Vision Impairment, Chronic Lung Disease, HIE (Hypoxic Ischemic Encephalopathy) and Microcephaly. Life has not been easy, but it is worth it! 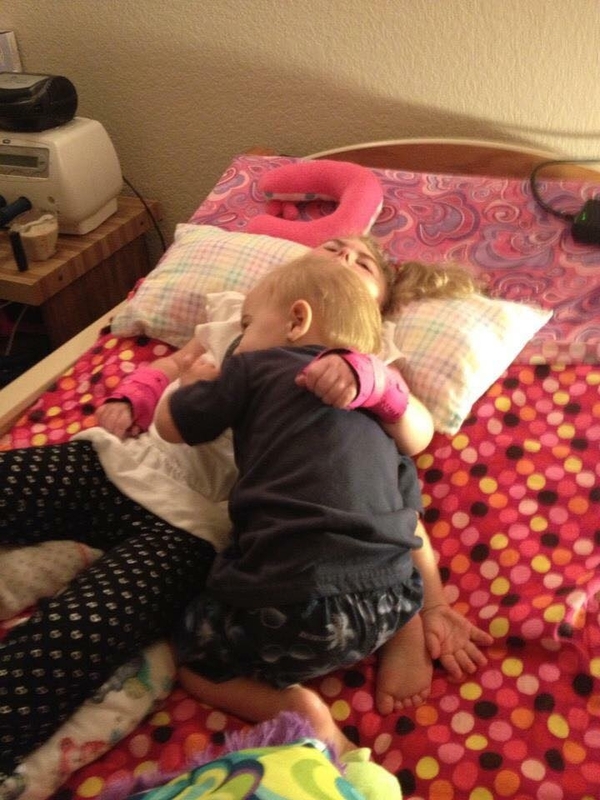 Sibling love… Karli and Kasey. Our second child, Kasey, came along about 5 years later. I had a great birthing experience with him. He is healthy and doing great in school, even though it is not one of his favorite things to do. He is a master at building Lego’s and Minecraft. Sometimes I feel like there should have been a third child, for fairness to Kasey, but when he was born, I didn’t think I could handle any more and had my tubes tied. The last day I worked outside the home, was the day Karli was born. She has so many needs and cannot be left alone. I have 3 nurses that come to our house to help take care of her, 2 during the weekdays and 1 at nighttime. Scott is still active duty Navy and it is a blessing because the health benefits far exceed any in the civilian world. Life has its ups and downs, but I cannot imagine life any other way. Karli with her runner Tiffany. I Run For Michael (IR4) Program is a Facebook community forum for inspiration from those who have special needs and for you to inspire others with YOUR story and who you run for! It is a program matching those who run/walk/exercise with those that cannot. We also have a FB page for siblings of those with special needs, wounded veterans, and a remembrance page. My involvement is mostly with the siblings page. I answer questions and screen profiles of those requesting to be involved. We also handle rematches if the runner isn’t running anymore or would like the child to be rematched with someone else. We also monitor the pages to keep things positive and make sure links are not shared. It can be a full time job somedays, but ensuring others happiness and inclusion is our top priority! Most of the runs are virtual. Once in awhile, runners will get a chance to meet their “Buddy’s” and can run with them! I am also involved in a local group called Ainsley’s Angels. Same concept of matching runners with those with special needs, but more on site. We run different races around Hampton Roads but also have some other out-of-town races that are available. 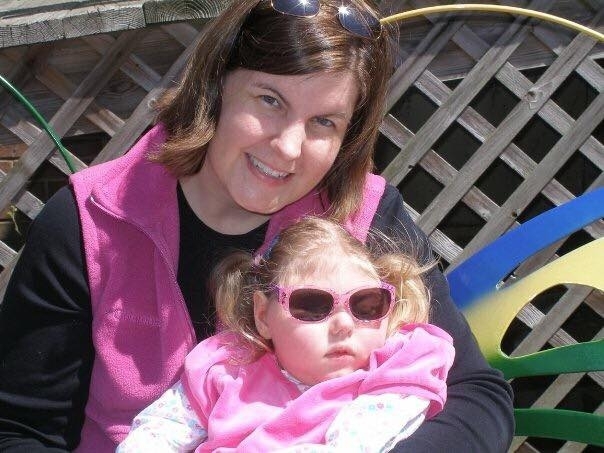 It is a group founded by a family whose daughter was diagnosed with INAD (Infantile Neuroaxanal Dystrophy). They are a Marine family, and have inspired so many through this organization - you may have a group in your city! EDUCATE - ADVOCATE - CELEBRATE! A Day In My Life: What is an average day like for me? Your day begins around 12am right? Mine does. I have my baby monitor on because our daughter sometimes coughs during the night and since she is not able to turn herself, I go to check that her airway is clear or if her mouth or nose needs to be suctioned. I wake and reposition her every 2-3 hours, for skin integrity and comfort. She also has seizures and I am programmed over the last 12 years to know how she breathes and if there is a difference in her breathing, I wake to check on her. Around 3:30am, her nighttime feed through her g-tube is done and I will flush the line with water. I change her diaper and reposition. I also prepare her medications for her 6am medication time. At 6am, I wake (or Scott) to give her the 6am medications and a water flush. She is repositioned again and diaper check and change as needed. If it is a school day, I wake up earlier, around 5:45am and start her chest vest (airway clearance system - it is a vest she wears and it vibrates to shake up anything in the lungs that may have settled, since she is not able to just get up and walk around like most others). This runs for 20 minutes. I give her medications and flush afterwards so she doesn’t throw up while being shaken up with the vest. Monday-Friday, Karli has a nurse that comes in to help take her to school and helps with care for 10 hours a day. I wake Kasey up at 6:30am to get him ready for school. I make his breakfast and prepare his school lunch to take. (Sometimes I feel like a short order cook-haha!). We get all packed up and ready for the bus at 7:10am. His school runs from 7:50am-2:19pm. On Tuesdays and Thursdays, I volunteer at his school helping in the library and the classroom. Karli is able to pick out her clothes using her eyes and she will glance longer at the choice she would like, when presented with two options. She will use her eyes to look at which shirt or pants she wants to wear. She is not able to dress herself or sit up, so we assist in taking off her pj shirt, put on deodorant and putting her daytime clothes on. We brush her teeth, wash her face, brush and style her hair. I lift her out of bed and place her in her wheelchair. We do morning exercises in her Quadriciser (machine she sits in and it does all manual exercises for her). It creates a repetitive pattern to simulate walking, using her arms and legs in that repetitive pattern. We also do range of motion stretches a couple of times throughout the day. When a person has Cerebral Palsy, their muscles can get really tight fast, so these stretches are very important. Sometimes she has needed botox in her muscles to help them relax, and sometimes we give her medicine to help her relax. The school bus comes to our door by 7:45am and she goes off to school with her nurse. Her current schedule is Monday through Friday from 8:50am-12:30pm. The bus picks her up at 7:45 and brings her home by 1:00pm. There she is taught her academics and some fun stuff too. School is mainly a social time for her and a chance to get out of the house and to be around her peers. When she arrives back home, she is given a bath in her jacuzzi tub. She is transferred out of her wheelchair onto a changing table. We undress her and place her in a transfer sling to carry her to her bathtub for safety. Every other day we wash her hair. She gets washed up and we let her soak in her bubbly warm tub for awhile. Bath time is her favorite part of the day and she asks for it frequently when she is in front of her communication device. We drain the tub and the lift carries her back to the changing table, located in her bathroom. We dry her off and rub lotion over her entire body and do a skin integrity check. We check around her g-tube and dry it as best we can and put an absorbent pad over it to protect the skin and keep it dry. She is dressed in pj’s if we aren’t going out that evening. Karli uses her stander daily. She is unable to bear weight on her own so we strap her in and raise her up. It gives her the support she needs to stand and allow her bones to bear weight. It helps with muscle strength and posture. It helps with bladder and bowel function because of gravity. Good circulatory and respiratory health are key to overall health and happiness, but it can be tough to achieve when you are seated at all times. The constant pressure placed on your bottom can cause swelling and sores, restrict circulation and even contribute to lower lung function depending on how you sit. She usually stands for one hour or as tolerated. Karli is transferred back to her bed and diaper change. Kasey arrives home and he needs some downtime before hitting the books. He has been doing good about utilizing his time and does some of his homework while riding home on the bus. He just wants to play once he is home, so he is smart to get his work done before arriving. He is constantly asking to go to Target or buy something off of Amazon or eBay. He is the type of person that if a dollar is in his pocket, he has to spend it. I prepare supper by 4pm because Scott arrives home from work fairly early and he is usually hungry and ready to eat. Kasey too. Scott is really good about helping around the house. He works all day and knows there is stuff to be done at home too and I cannot possibly get it all done without help. The kids have appointments periodically, or I do and so stuff just doesn’t get done at times. The house we live in was built especially for Karli, 6 years ago, so it is fairly new. It has the modifications done to it to help provide care to her for the rest of her life. It is time for Karli’s nighttime treatments. We place her in her chest vest again and run it for 20 minutes. She uses a spacer to deliver her inhaler with medicine for her asthma. We use the chest vest twice a day on a regular basis and every four hours when she is sick. Her immune system is compromised due to multiple infections and illnesses over the years. She has chronic lung disease and if someone in school is sick or home, she can catch it very easily and a cold to her can be life threatening - often resulting in a stay in the hospital. It is extremely important for us and her nurses to wash our hands frequently. We keep our house relatively clean and change our air filters monthly. We do not allow people to smoke in or around the house. Her grandma and grandpa have quit smoking also, which is great for them and for us. She has water flushes throughout the day so she doesn’t thirst. She gets medications for seizure control, calcium, multi vitamin, vitamin D daily with seizure medication being twice a day. Her nighttime feed consists of formula and added protein along with fiber is started around 7pm each night. Due to her scoliosis and pressure on her stomach while being upright, she needs to be laid down in order to get her feeding. We adjust the time based on what the activities of the day might be. If we are not at home, we give her more water and start her formula feed later. By 7pm we are wrapping up the evening with bath time and story time for Kasey as he prepares for bed. He loves mom to read to him and rub his back before bed. He is definitely a mommas boy! And I will milk it for all it is worth. Bedtime is our special time to talk about the day and what we want to do the next. He is a planner. He wants to know what we are doing, when we are doing it and is not keen on surprises. Unless the surprise is a new toy, game or Legoland adventure! Karli watches her tv, in bed, while I lay Kasey down. She asks for a movie or her bath multiple times a day. We do not see therapy anymore because insurance will not pay for therapies when the person doesn’t meet their goals. Karli is unable to move her extremities or have much trunk or head control, so therapies aren’t paid for. We do all of her cares in our home by us or her nurses. We have been fortunate to have nursing coverage on an average of 5 days a week. We also have a night nurse that has been with us almost 5 years, she works 4 nights a week! It is very important to get rest and to take care of yourself when you have a family member with great needs. Karli has this cool communication device called an Accent 1400 and uses eye gaze to communicate. One of our friends, who was a Speech Therapist, saw in children what other therapists did not - for he, himself was a quadriplegic, but was able to use his arms and hands even without feeling. Unfortunately, he passed away, but left a great band of kids with tools to communicate with. He believed Karli could use her eyes to communicate with and gave us a trial device to use. It is like magic! Many do not understand truly how this works. We position Karli in her wheelchair and attach the device using a metal arm. With the device turned on, she can look at a button with her eyes and it will say that word. It uses Red Eye technology. It is so good to hear what she has to say - I know there is a lot more we can do to help her achieve greater language skills, but we are still learning! In my downtime, I have the lovely laundry pile to tackle (I’m a little OCD when it comes to laundry, so if there is something in the basket, it needs to be washed!). Of course, the house needs cleaning. I used to have a friend come help me clean but I felt I could do it myself - it is a lot of work. I treated myself to a deep clean by an agency this Fall and that was wonderful! I am also calling in Medication Prescription refills, calling for more medical supplies, scheduling upcoming Specialists appointments, and requesting IEP meetings (Individualized Education Programs - working on 7th for this 2018 year alone!). Fun things to do when you live this life? I love to go shopping at thrift stores, its the thrill of the hunt! I love to do crafts - paper card making with stamps, painting on canvas, pretty much anything crafty is fun. I like to go to the gym - I try to go 3 times a week, or walk around the neighborhood. I have neighbors and friends to help hold me accountable. I do take in an occasional lunch with a girlfriend. And massages. I do not sit around and eat bon-bons, as some people might think, since I do not work outside the home. Personal Philosophy for Balance, Health and Sanity: Keep your good friends close in heart and talk to them often. Be good to yourself, treat yourself to good things such as massages, good nutrition, exercise, SHOPPING! Prioritize what is important to get things accomplished. Most Memorable Experience: My daughter’s birth. Her birth was very traumatic and the events leading up to it and following it. It consumes all my days - not that I am living in the past but the past events lead to todays struggles for her. She was injured during birth - her birth is what caused her injuries. The uneducated triage nurse didn’t know how to read the fetal monitor strip and did not call for help in a timely manner. She was a healthy baby girl prior to the day she was born and they can never give that back to me. Netflix Recommendation: I enjoy medical shows, forensics, mysteries. My favorite shows are the Chicago series (Chicago Fire, Chicago Med, Chicago PD). I also like real life stories like Making of a Murderer. The Ozarks is a good show. Unsolved Mysteries is another favorite. Favorite Guilty Pleasure: Cheese! Nachos and Mexican Food is my all time favorite and could eat it every day. I am known for my love of tacos! Favorite Books: I used to read many books on medical diagnoses and real life stories of children with Cerebral Palsy but it gets overwhelming. I now enjoy books that take me to a different world - fantasy and love. Favorite Quote or Inspirational Saying: I do not believe special needs kids are given to special parents or that God will only give you what you can handle. It is more along the lines of God doesn’t give us what we can handle; God helps us handle what we are given. And a strong support system always helps! Advice to younger self: Exercise more. Do not spend money on selfish things or things that sometimes give instant gratification. Buy what you need. Keep things simple. Travel when you are young, if you wish to ever travel, because sometimes life takes you in a different direction where traveling may be difficult. I could travel now, but I enjoy time with my family and kids way more. They are only young once. Thank you for sharing your story and a bit of your life, Missy! 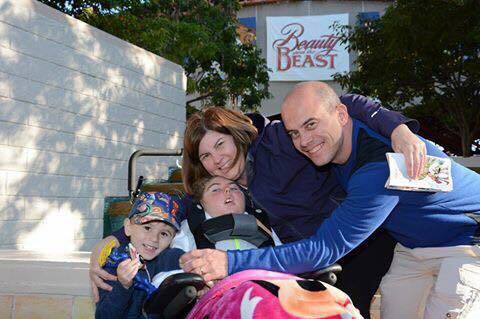 You, Karli, and your family are truly an inspiration! And guess what? Missy also finds time in her day to be her own boss! She sells Thirty One products and Scented wax and wickless candles through Scentsy.. She’s unstoppable!